Before arriving at CCM, Kenneth Griffiths taught at Indiana University and the University of Tennessee and has held numerous master classes throughout the U.S. and Australia. He has accompanied professional recitals in Australia, Japan, England, Germany, Russia and the U.S. for such artists as Kathleen Battle, Susan Dunn, John Garrison, Ben Matthews, Susanne Mentzer, Jessye Norman, Stanford Olsen, David Shifrin, Benita Valente, Sarah Walker and Delores Ziegler. He has appeared as concert narrator in Schoenberg's Ode to Napoleon with the Arditti, LaSalle and Vermeer Quartets and is also featured on the Deutsche Grammophone recording of the same work with the LaSalle Quartet. Since 1992, he has been a faculty member of the Tanglewood Music Festival vocal/accompanying program where he teaches master classes and "Russian For Singers" and also prepares recital and chamber music ensembles. In 1995 and 2000, he was a jury member for the Robert Schumann International Vocal Competition in Zwickau, Germany. 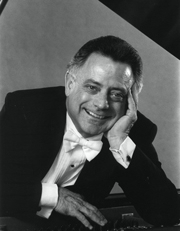 He studied piano in Australia and Europe and accompanying with Gerhard Hüsch in Munich and at Indiana University.